The Hasselblad Award is the most important international photography prize in the world today, and since 1980 award winners have included some of the greatest names the medium has known. The award is granted to 'a photographer recognized for major achievement'; this may be an individual who has made a pioneering achievement in photography, who has had a decisive impact on one or more younger generations of photographers, or one who has implemented one or more internationally significant photographic projects. 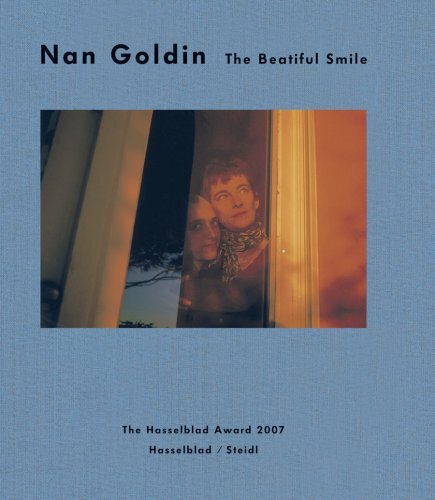 The 2007 Hasselblad Award winner is Nan Goldin, easily one of the most significant photographers of our time. Adopting the direct aesthetics of snapshot photography, she has documented her own life and that of her friends and others on the margins of society for more than 30 years, offering frank depictions of drug abuse, cross-dressing and alternative sexualities. Her intimate photographs depict urban lives in New York and Europe in the 1970s, 80s and 90s, a period massively determined by HIV and AIDS. Her practice of photography as a memoir and as a defense against loss, and her use of the slide show to present her work, resonate increasingly in the work of photographers of recent generations.